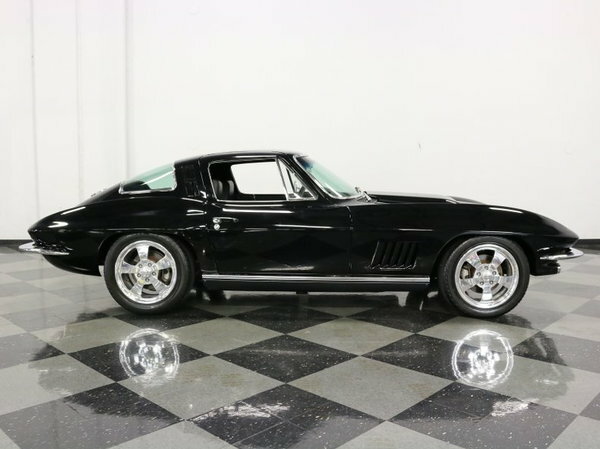 The recipe for the ultimate early Corvette: Take one immaculate 1964 Corvette body, add a custom C4 Corvette chassis, a fuel-injected LS1 and 6-speed manual transmission, then finish to concours standards. 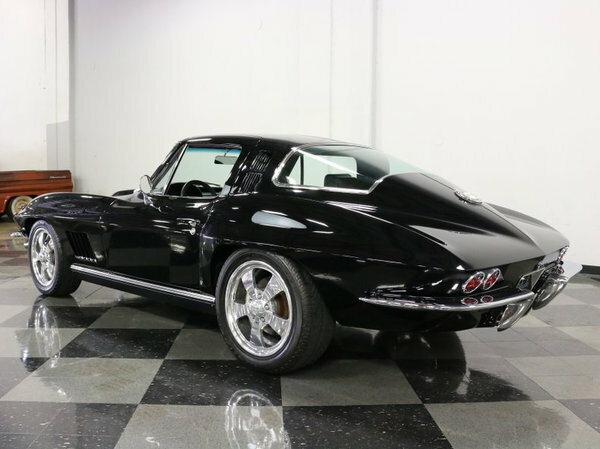 Sprinkle in a large helping of modern conveniences and luxury features. 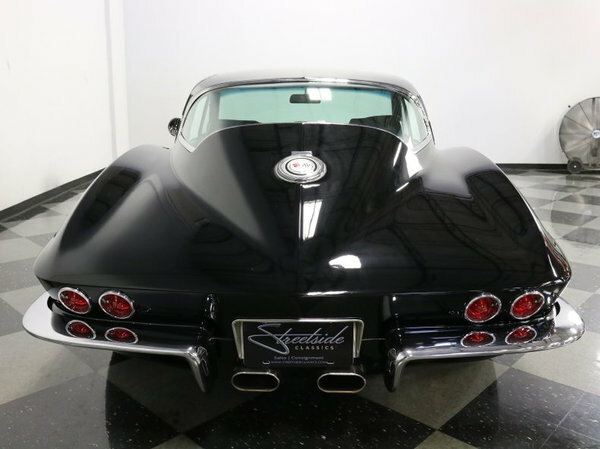 The finished product is a Corvette you'll have more fun in than anyone with a pedigreed vintage show piece or a garden-variety modern 'Vette. 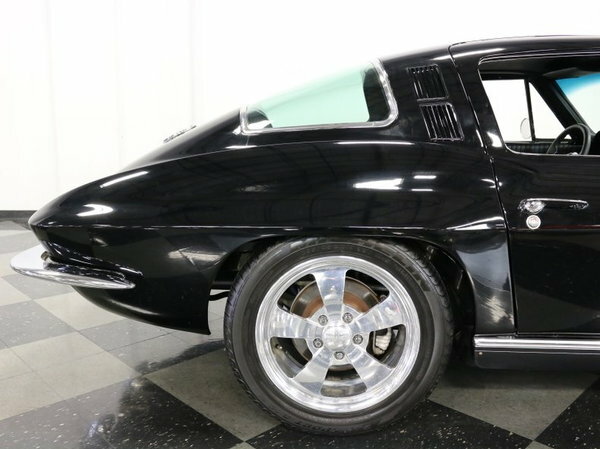 Actually, building a car like this is a lot harder than it looks. 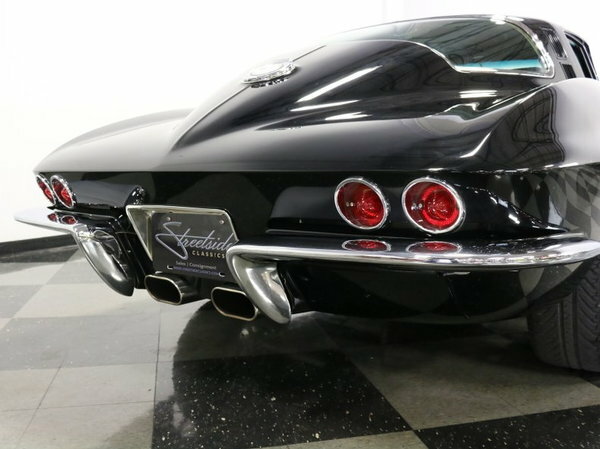 It uses almost 100% Corvette components, but the similarities between a C2 and a C4 end at the name. 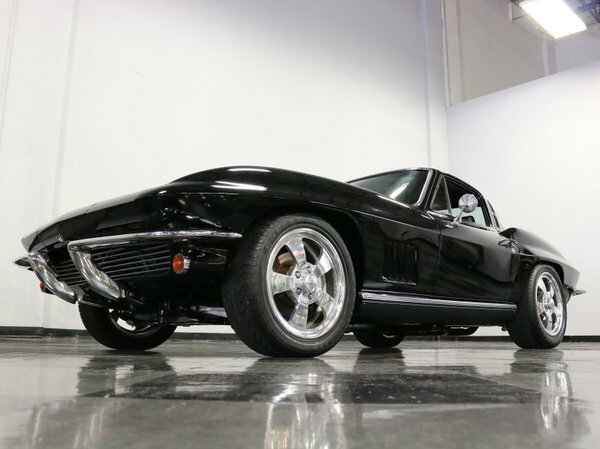 The guys at Car Creations took a late-model C4 chassis, complete with 6-speed, independent suspension, and brakes, and fitted it under a near-flawless 1964 Corvette coupe body. 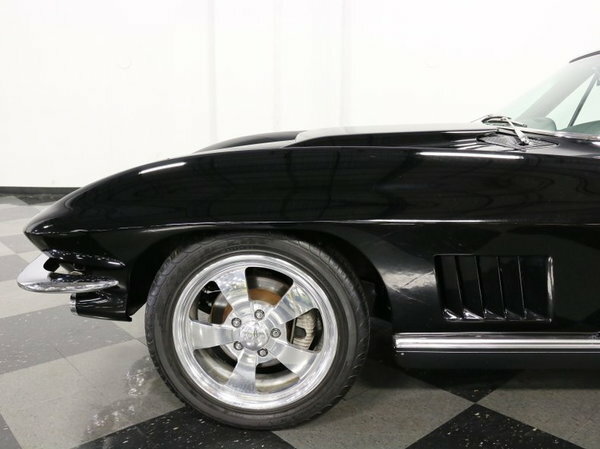 Some modifications were required to get it all to work, but the look is easily recognizable. 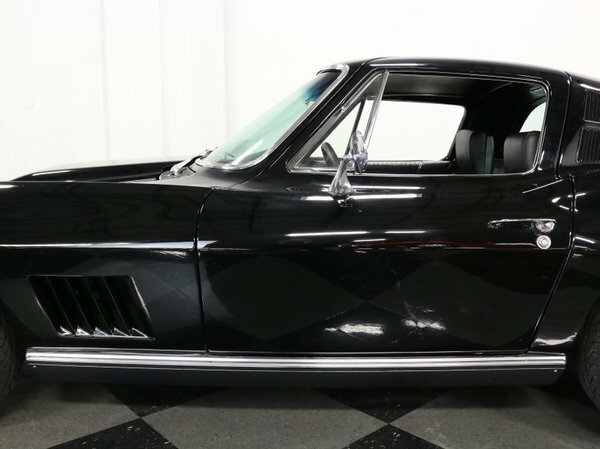 There are a few slight updates to the bodywork including some modestly flared rear quarter panels and a '67 big block hood and front fenders, but there's no mistaking the identity of this car. 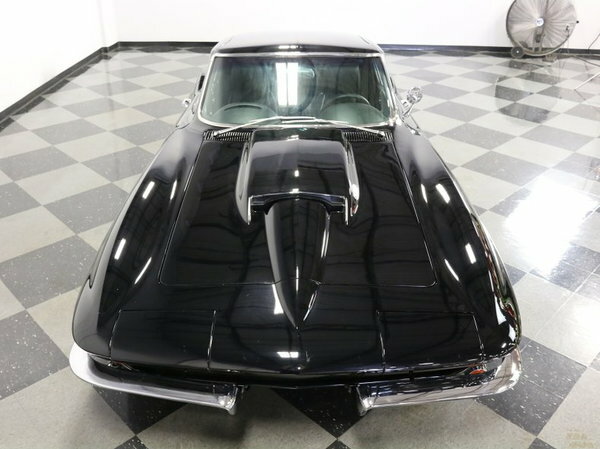 Once the surgery was complete, it was finished in stunning high-gloss black, and the paint job is show-stopping. 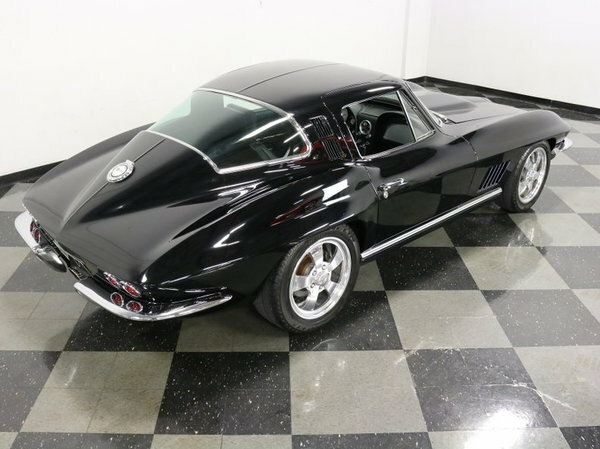 Black hides nothing but it's also perfect for dramatizing custom work, with highlights and shading that play off the flared fenders and the classic good looks of the Sting Ray body. 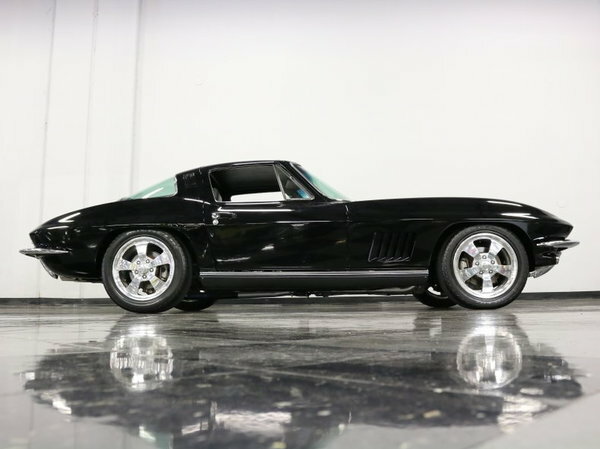 The result is definitely a car that looks like it's worth every bit of the $150,000+ invested in its construction. 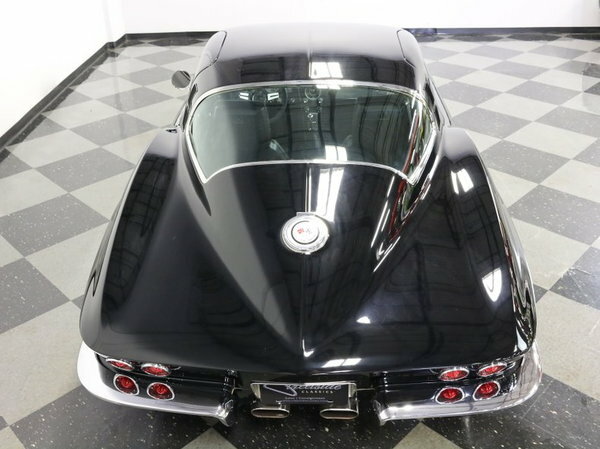 The careful mixture of old and new continues inside, where a set of C4 Corvette seats were fitted, Auto Meter Phantom gauges replace the stock '64 instruments, but the basic design goodness of the twin-cockpit design remains. 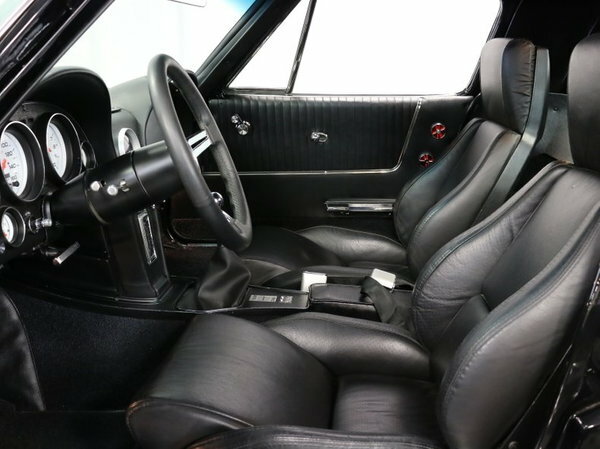 New stock door panels match the black leather seats surprisingly well, and the black carpet is fresh as well. 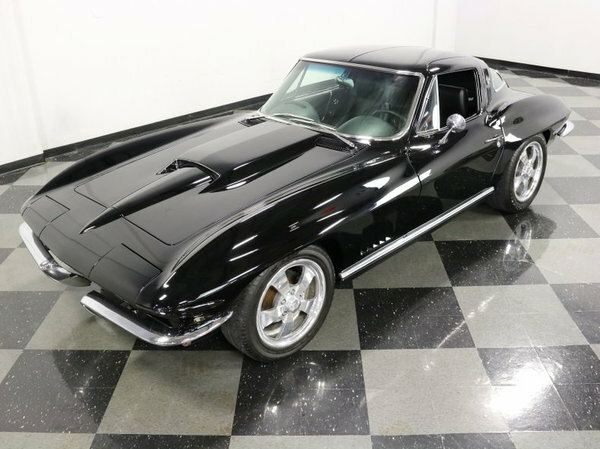 The original center console remains, but you'll note the shifter now manages six gears instead of four and the radio is a custom AM/FM/iPod with speakers in the rear compartment to fill the cabin with sounds. 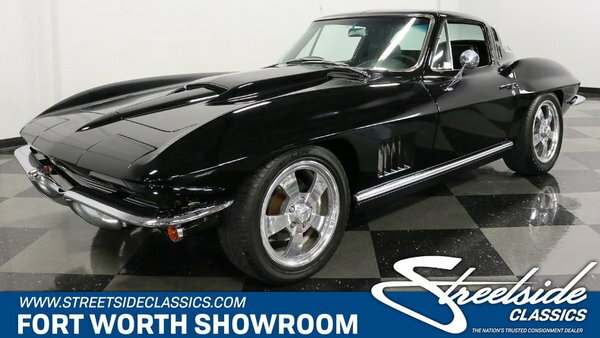 Vintage Air A/C is included, so when you want to cruise in comfort, it's just like driving a new Corvette. 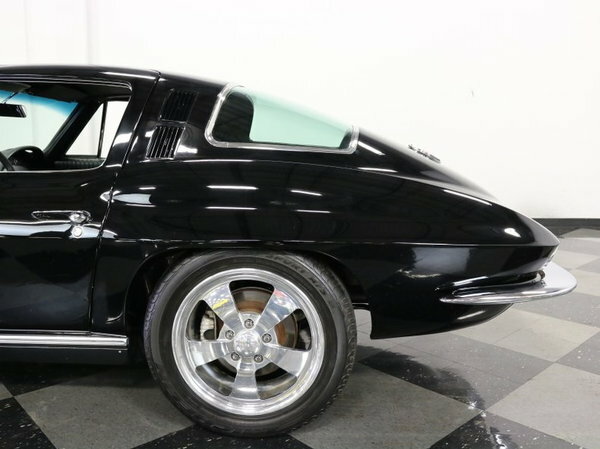 A tilt steering column, power windows, and a leather-wrapped steering wheel all add to the effect that this is a brand new 1964 Corvette. 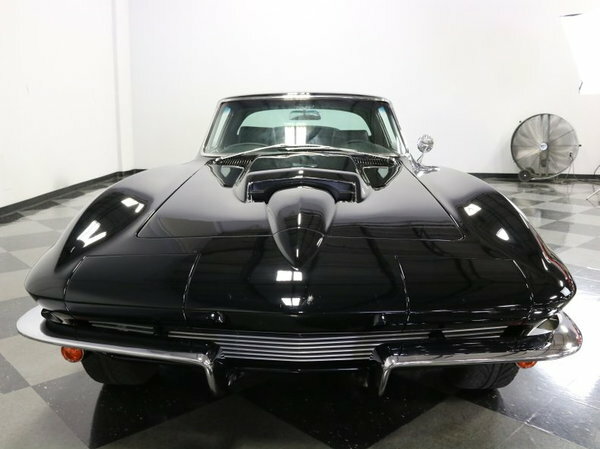 Power comes from a C5 LS1 V8 that looks like it was born under the hood of this cool Sting Ray. 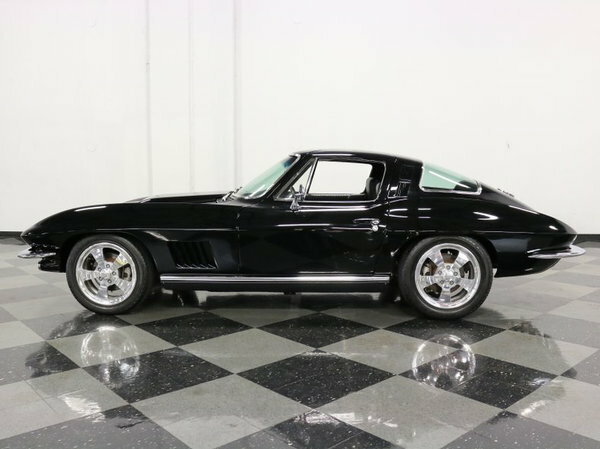 Factory fuel injection using OEM controls and equipment give it modern drivability and the lightweight aluminum V8 means this C2 handles like it's on rails. 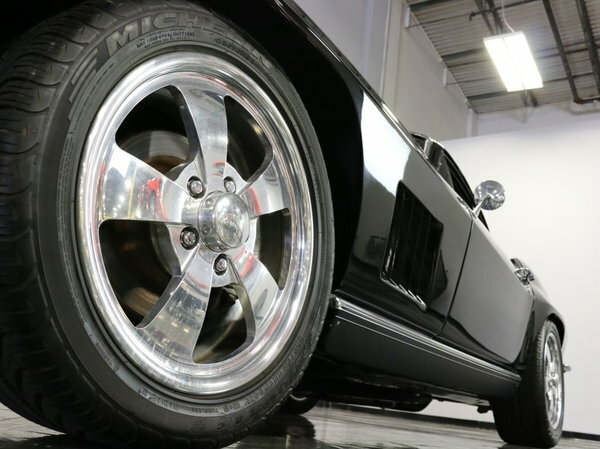 The packaging is extremely well done, with OEM components throughout, plus a custom power brake system, heavy-duty aluminum radiator. 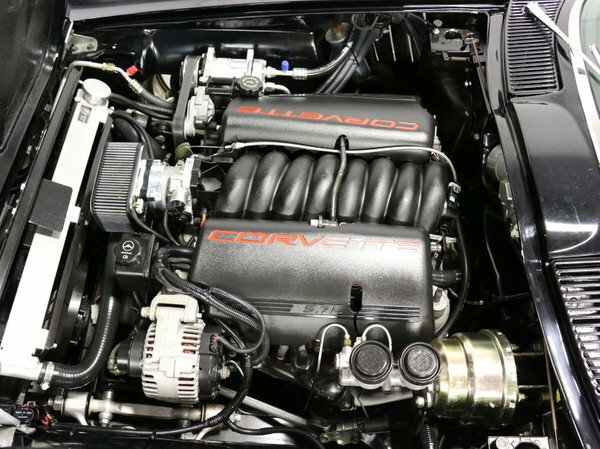 And the C5's original serpentine belt system for the accessories. 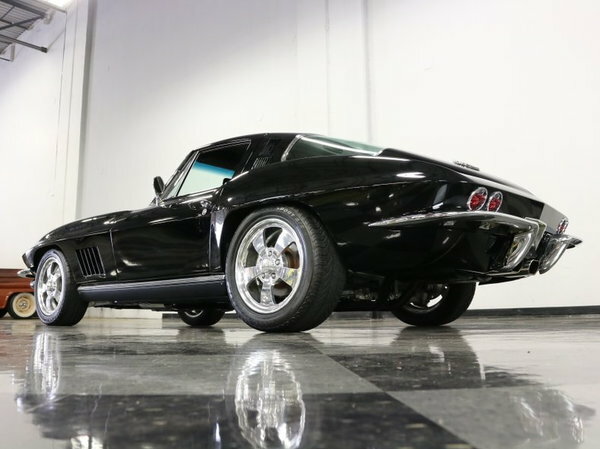 The frame and suspension are pure C4, including the fiberglass leaf springs, forged aluminum A-arms, and 4-wheel disc brakes. 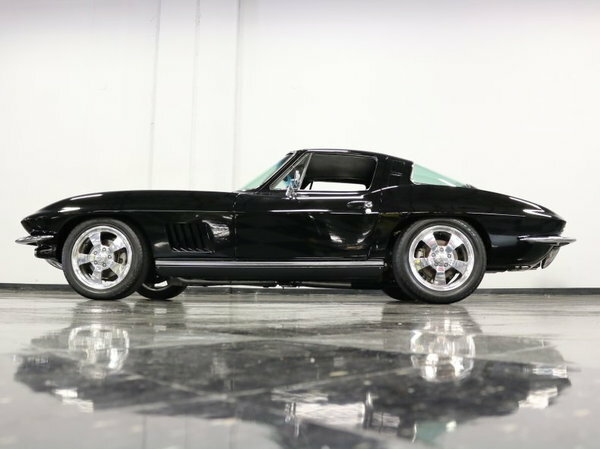 Those gorgeous Z06 headers dump into a custom X-pipe and Magnaflow exhaust system with a C5-style center outlets, and the Tremec 6-speed spins a Car Creations rear axle full of 3.73 gears. 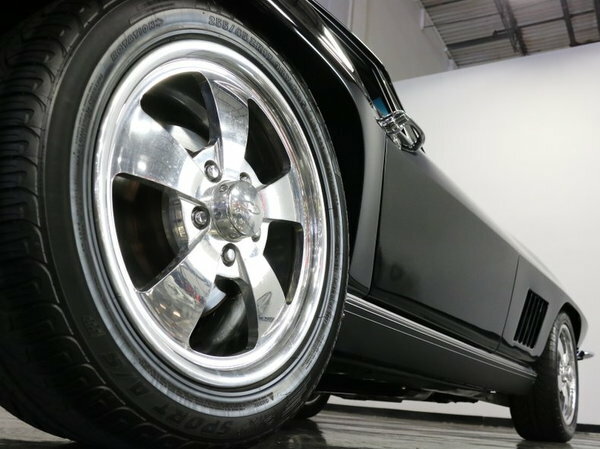 Wheels are from Custom Intro, measuring 17x8.5 in front and 17x9.5 in back and wearing 225/50/17 and 255/45/17 Michelin Pilot tires, respectively. 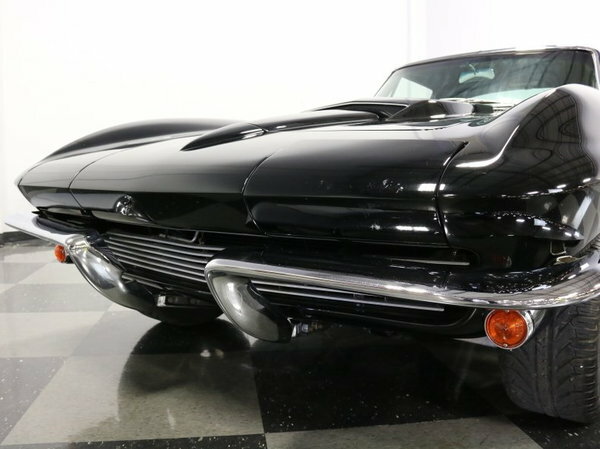 Of course, there's much more to this car than we can cover here, but rest assured, it is every bit as amazing as it seems. 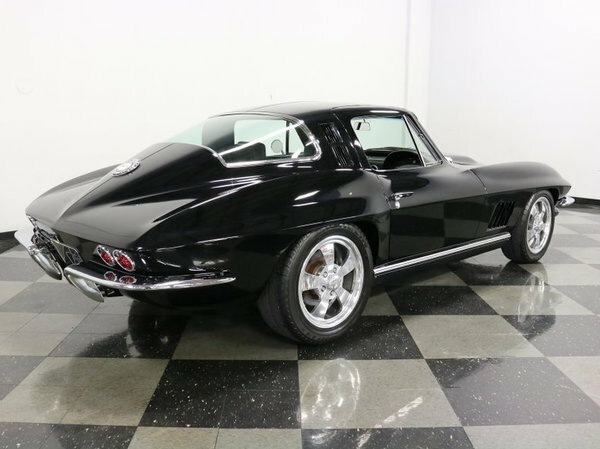 For all the details, you'll simply have to give us a call!